Welcome to my office. Relax, join me for a cup! It’s a come as you are. 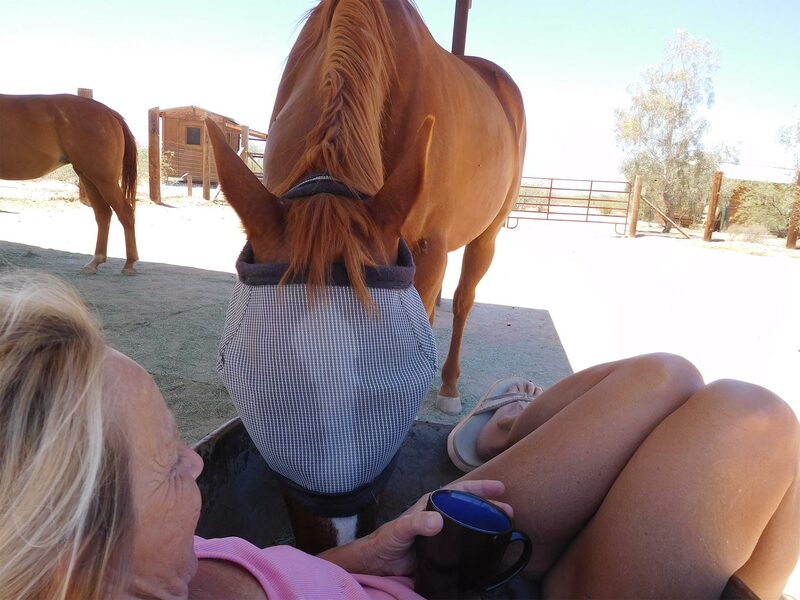 I come to this space often, sitting in my wheelbarrow, relaxing into partnering with the horses, listening to their rhythmic munching… allowing… breathing… expanding – grounded within present time, the I Am Here. I cannot tell you when this experience took place, appears everything is shifting so fast, then slow, then gone… Perhaps it was a couple of years ago, or yesterday, maybe last year, tomorrow or even could be later today… Sounds strange then again, not at all. It just doesn’t matter. It’s all part of the progression into Self-realization, the integration, co-existence of Human And Divine. And, oh yes, by the way, the wheelbarrow is optional! It was a hot day sometime on the desert as I sat in the shade, hanging out with my Family, the Horses, and they began to come closer and gather around, reflecting my natural essence. They do have a way about them that can only truly be experienced. On this particular occasion, still, quiet, breathing fully, sitting in my wheelbarrow, I intended, embraced and entered into experiencing the new foundational creation energies. I allowed the energies to flow, igniting feelings of being lifting, falling, floating, drifting; still fully present within each moment, singular focus slipped away allowing multi-focus to expand. Becoming acutely aware of a childhood song… Many times my Horses, Nature and Animal Kingdoms get my attention through conversing with me through humor, riddles and songs. I allowed the song to stream up from my subconscious without changing anything. Something felt off. Smiling, I heard “pay attention” and realized what was off kilter… What I heard myself singing was, Row, Row, Row your boat, Gently Up the Stream. A conscious burst of laughter rang out that originated deep within my belly, vibrating a new rhythm into all my cellves as I heard one of the Horses snort. No, wait, that was me! At the same time I recognized that the song is actually: Row, Row, Row your boat Gently Down the Stream. I sensed my body relax a little more, a freer breath filled me. Great, after years of conditioning I got my boat heading down stream. Something was still off! An awareness of a tension felt inside my body alerting me that something does not belong here and to embrace and release… I began to lightly ponder – What’s the purpose of rowing at all if it’s Gently down the stream? I ponder or wonder often, accessing a different part of mySelf, and for lack of better term – a new operating system that allows the answer to come from within, beyond the mind. 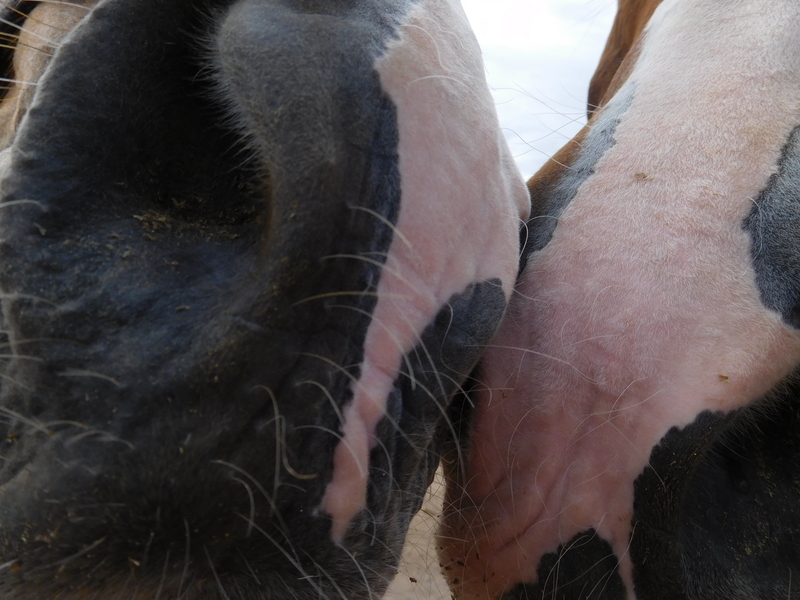 It’s a connection through Soul Sensing Heart Exercise that is part of my new creations, what the Horses and I call Heart Technology, more on that later. Alright, I would. I declared to myself. And this is what I did – I threw one oar away. I’m sure you can relate to that on some level. The letting go and at the same time having a back up plan? One that you’ve kept hidden, or think you can keep hidden even from yourSelves? You know, a just in case alternative plan A or B or D!? It was then choice came. Not the words thrown around, or over attached and used. It came as a visceral experience of being so present within Self, where clear choice can bubble up. Yes, the great gift of free choice to choose, without any attachments to battles, agendas or expectations (from yourself or from others that is not yours), hidden manipulations or outcomes. It’s an experience of being connected to Self (Soul, the Divine, Source, whatever you choose to call the Isness that is yours) in the moment that allows for your personal – clear choice. With a few deep breaths, owning, embracing the courage it takes, I let go of the other oar. Hasta la vista, baby! And what took place, beyond the control hiding behind the fear based rationalization and justifications and stories of the old earth mind games? Only you can experience for yourself. I can support and guide you. And as you also know, we, the Horses and I cannot do it for you, nor would we. That would be a disservice to your uniquely designed sacred journey. I do realize and understand the challenges that come for many; the farther away from the old paradigms the terrain seems uncertain. What I offer you is new energy tools and suggested exercises personalized for you on your creative journey. 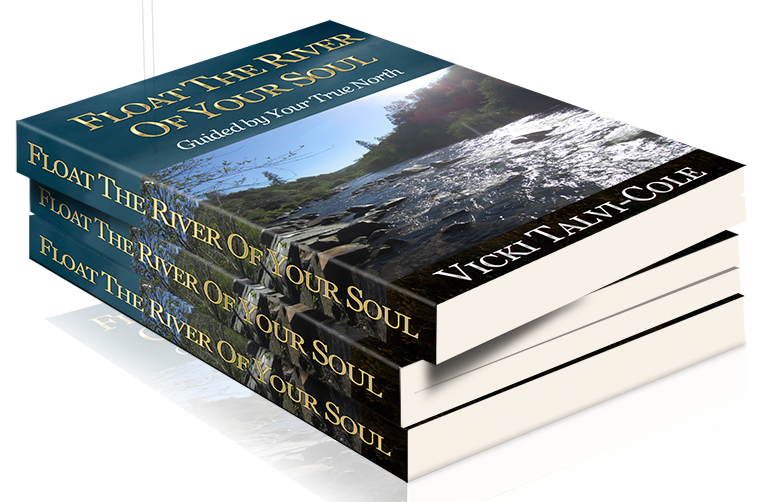 Back within my wheelbarrow, aware of my body, eyes leaking, the horses surrounding, supporting me – I had jumped into the gentle streams becoming rivers of circular spiraling time space energy that began to float gently though me and to move me. Gentle streams and sometimes not so gentle rivers of energies that serve me, lifting me up the stream, down the stream and yes, even across the stream. Fully present in the moment, relaxing with the Herd, what was forgotten became remembered and bubbled up, the Horses spoke, stating that I do NOT have to row/work so hard with my Divine partnership; embodiment of Divine and Human. And neither do YOU when you allow time and space to move through you, and move you! This is/was only a small portion of the natural evolutional progression – a matter of perception: how one perceives. New beautiful waves of energies are and will be continuing to usher in the upcoming New Era on Earth 2018 and beyond. It’s all about YOU and it all starts with YOU! Yes, there are energies more powerful than we can yet perceive. There is a consciousness with more love than we can yet conceive. There are gifts beyond. Let’s explore. When everything changes, every thing changes, and everything is always changing, except the first 4 laws of Existence. That is the 5 law of Existence. It is with deep honor and respect to you and for you, that We, the Horses and I express our gratitude and appreciation You for BEing YOU!